In short, it’s how your business rates, reviews and reflects online. And given the ubiquitous and all encompassing nature of the online space in today’s world, you’re better off forgetting about the ‘online’ bit and more simply considering it your ‘Reputation’. Full stop. Because it’s everything. It’s how the majority of consumers find and assess a business or product these days. Some research cites numbers as high as 97% in terms of the percentage of consumers who check out the online rankings/reviews of their local businesses when searching where to purchase online. How do we identify where best to grab some Japanese food on a night out? Or where to get a good coffee near our next meeting? Where to stay on your next holiday? Or who to service your car or cut your hair? You Googled it first, didn’t you? You quickly looked at the rankings, reviews, and locations, made a decision and gave them a call, clicked on their site or messaged them. No different to the way today’s consumers decide which bike shop to go to (or to avoid). Including yours. But my business doesn’t do much ‘online’? If you exist, you exist online. You may not have an e-commerce website and you may not even have a Facebook page, but that won’t stop your business being listed online. And, as a result, reviewed or ranked. When was the last time you Googled your business? Did you even realize you had a Google rating? Had you seen those customer reviews before? Scroll down through the first couple of pages. You might be surprised to see where your store’s been listed, mentioned or reviewed. How do I stop bad or unfair reviews? Except for some quite nefarious and (I’m pretty sure) illegal methods, you can’t. Not on Google, anyway. You could contact Google as the business owner, and try to establish a new listing, at a different location, with different contact details or slightly different or extended name. But then people will find it difficult to find or contact you, which is quite the Pyrrhic victory at the end of the day. Can’t I just turn off the ‘review’ options? You certainly can on the various social media platforms. But that only serves to send up a pretty obvious red flag that you either had some fairly major ‘reputational’ problems that you couldn’t deal with or resolve, or that you don’t care what customers think. A bad review is a chance for engagement, understanding, recompense and improvement. And it’s a chance for neutrals to see how you respond to negative feedback. Everyone understands nobody (or no business) is perfect. We all make mistakes, and you certainly can’t please all people all the time. How you deal with such grievance, fair or unfair, can define you as a business. Good businesses don’t turn off reviews. They welcome them. In fact, they proactively seek them. 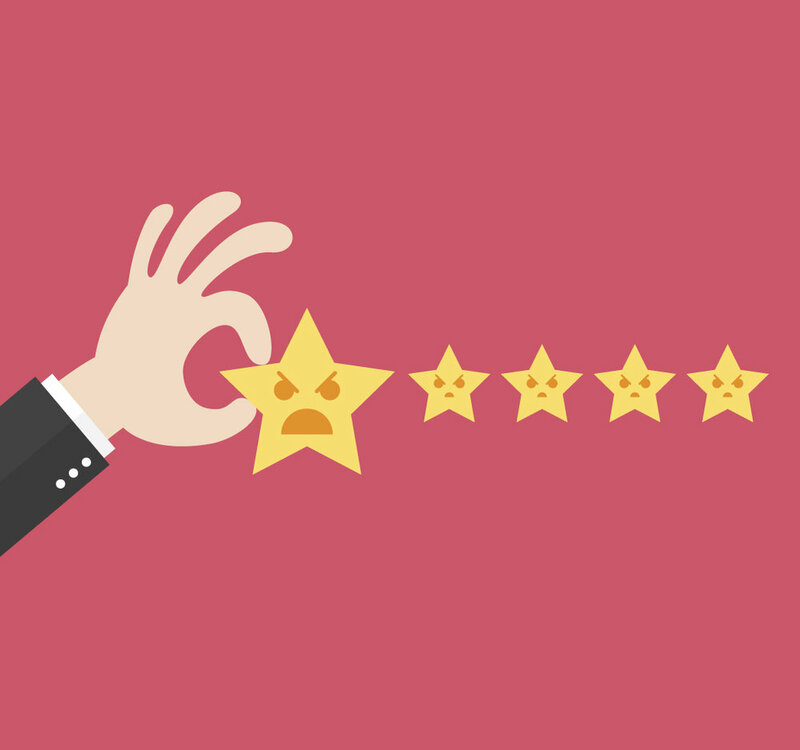 They not only engage with reviews, they quite often reward or incentivize them too. This is a key part of building a good online reputation. But not the whole picture. How do I build a good online reputation? Admit when you do (or, at the very least, acknowledge that the customer is not happy), and say sorry. Thank people for negative feedback or complaints, as it helps you to be better. Openly offer them recourse, a refund or, at least, a full apology. Don’t be the a**hole. Be nice to people. Always. Even if they’re wrong or rude. Be good at what you do. It makes everything else much easier. Actively seek reviews from your customers. Ideally at or just after the point they’ve completed a purchase with you or collected a service/repair. Incentivize and reward reviews. Good or bad. Simply make sure your positive reviews and rankings far outweigh your negative ones, which you will inevitably get, no matter how awesome you are. Can I manage this myself? Sure. Much in the same way you can handle your own IT, electrics, plumbing, or represent yourself in court. Go ahead, and swing away. You absolutely can manage your own online reputation and image protection, but you better know what you’re doing and have the time and energy to manage it. Remember, the internet doesn’t sleep. And neither do grumpy customers. Alternatively—and preferably—you’re going to need to part with some cash, I’m afraid. A few options: 1) Invest in formally training an existing employee, or employ someone new in-house to manage the task; 2) Outsource it to an ORM (“Online Reputation Management”) professional; or 3) Do it yourself, which is not really a plan unless you’re planning to fail, go out of business or, at the least, hate your job. And remember, this is not like most maintenance tasks you perform in your business, which you can tackle periodically. This is a 24/7/365 imperative. Consider this fire insurance, where the hands are always on the extinguisher. To look at it from a more positive perspective, see protecting and growing your online reputation as an extension of what you’re trying to achieve in store, on the phone or online, every single day of the year, which is being an awesome, value-added bike business that shows respect and support to its customers and, as a result, gets it back. This article was first published by BikeRoar, an online resource that helps cyclists #BuyLocal and equips bicycle retailers with online marketing solutions to gain and retain customers.